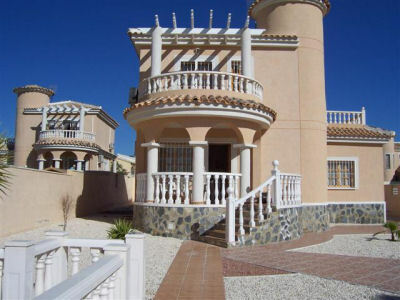 This detached villa is finished and equipped to a very high standard. It has heating/air conditioning with its own private pool. Situated in a quiet residential area on the urbanisation of La Marina. 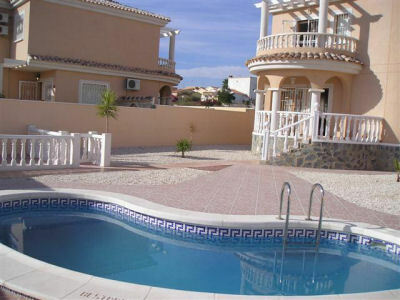 The unspoilt town and beautiful beaches of La Marina are only a 5-minute drive from this villa. The scenery is breathtakingly beautiful and within moments you can be driving in picturesque open countryside, where you can stop and pick a fresh orange or lemon and enjoy the fabulous bounty that nature has gifted to this part of the world. There are two excellent restaurants within walking distance and a quick 5 minute drive takes you to Ciudad Quesada, with banks, bars and restaurants including Chinese, Indian, Italian, English and of course Spanish cuisine. This villa is away from main roads and has the benefit of being near shops, bars and restaurants. There is a Leisure Complex which has a large swimming pool and children's swimming pool, two large sun terrace, Restaurant and snack bar and Bowling greens near by. With a 2 minute drive to La Marina or a 20 minute drive to the city of Elche on the Costa Blanca coast, you could be settled in and enjoying your holiday before you know it. The local area Thursday and Sunday market is within walking distance and is great for local bargains and breakfast. 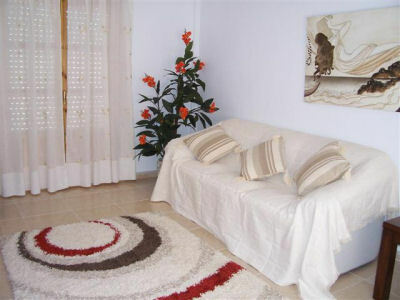 It is only a 5-minute drive to miles of safe white sandy beaches at La Marina or 10 minutes to Guardamar. Torrevieja is 20 minutes with nature parks, salt lagoons, and Europe’s best healing climate according to the World Health Organisation. You can stop and pick a fresh orange or lemon and enjoy the fabulous bounty that nature has gifted to this part of the world. Especially beneficial for those with rheumatism, asthma or skin problems. Torrevieja is an old fishing town, with its own harbour and small fishing fleet, market and funfair. There are restaurants by the sea and a new development with Hypermarket, Bowling, Cinema, Amusements and a selection of restaurants just outside. Bounded by the beautiful Mediterranean on one side and thousands of acres of fruit groves inland, the scenery is breathtakingly beautiful and within moments you can be driving in picturesque open countryside, where Trips to Alicante (promenade), Elche (park of palms), Murcia (Gardens, theatre), Cartagena (Roman settlement), Mar Menor (inland sea), La Manga and hiking in the mountains are all within an hours drive on modern roads with little traffic. The Costa Blanca or "White Coast" is an area where there is plenty to do for both golfers and non golfers alike, with excellent safe beaches, water sports, two Aqua parks, Safari Park, horse riding, shopping, many restaurants and general sightseeing all close by. There are four main cities within an hour's drive - Alicante to the north, Elche to the north west, Murcia to the west and Cartegena to the south and two major international airports close by - Alicante 20 minutes and Murcia's San Javia - within 40 minutes drive. There are 2 Championship Golf Course within 15 minutes drive and 4 more only a 25-minute drive from this Villa. In the main area of the villa you will find a Hot/Cold Air conditioning unit, dining area with table and 6 chairs, sideboard, TV with UK channels and Hi Fi system, the lounge area is equipped with 2 settees, wall unit and patio doors leading out to sun terrace. 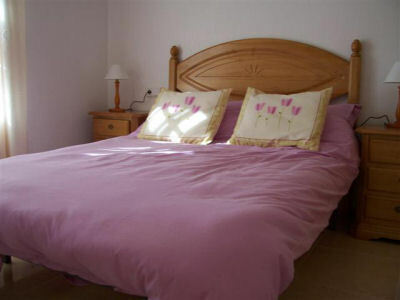 The kitchen comes fully equipped with fridge freezer, washing machine, oven, hob, micro- wave, kettle, all utensils and crockery and cutlery are on hand as you would expect. The 2nd bathroom downstairs has a shower, WC and wash hand basin. Master bedroom with Hot/Cold Air conditioning, double bed, bedside cabinets and a built-in wardrobe and patio door leading out to the sun terrace which has stunning views of the plains and mountain. Front porch with table and 4 chairs. 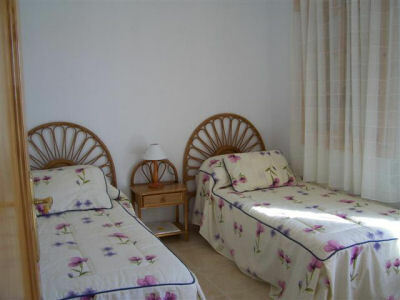 The 2nd Hot/Cold Air conditioning bedroom is equipped with, two single beds, bedside cabinet, built-in wardrobe. The main bathroom with full-size bath, shower, bidet, WC and wash hand basin. All floor surfaces are finished in quality ceramic tiles and all bathrooms and the kitchen are fully tiled. There is a sun terrace at the front with table and chairs. and 6 x 3 -metre kidney shaped swimming pool with roman steps, sun loungers, table and chairs and B.B.Q. Room for off road parking.